New rumor regarding the HTC One Max phablet has arrived hailing from China. HTC’s first ever phablet is expected to be unveiled in the coming months, there have been conflicting reports about its launch. According to the new leak, the Taiwanese manufacturer’s phablet will run Android 4.3 Jelly Bean with its custom Sense 5.5 UI on top. The changes that Sense 5.5 UI is expected to bring have not been revealed as yet. 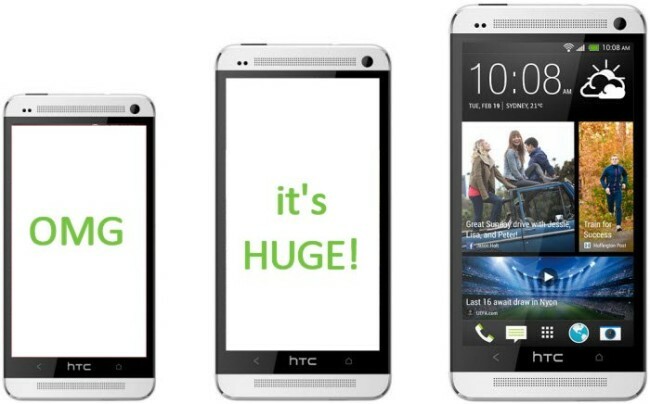 On the hardware side, HTC One Max is now rumored to have a 2.1 megapixel front cameraand a rear UltraPixel camera. According to previous rumors, the One Max is expected to have a 5.9 inch 1080p Super LCD3 display, a 2.3GHz Qualcomm Snapdragon 800 processor with 2GB RAM and a 3,000 mAh battery. The device is also said to come with support for TD-LTE, which is China’s homegrown version of the high-speed standard, but there’s little doubt that the international version of the device will also sport 4G LTE support. A dual-SIM, dual-standby version of the HTC One Max will be also made available to target Asian customers. Pricing of the phablet remains unknown, but the official launch of the device could arrive in the next few weeks.